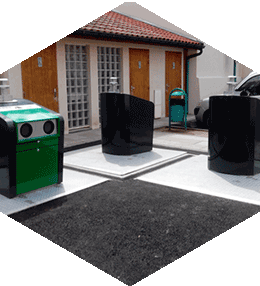 Offer huge storage capacities, especially for waste sorting. 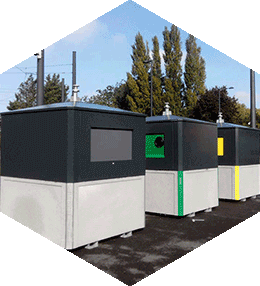 Offering latest-generation materials, unrivalled safety levels and a wide choice of finishes to blend into the installation environment and the identity of each municipality, the BIHR BOX® range is today connected for remote use management, scheduling collection rounds and triggering requests for maintenance. 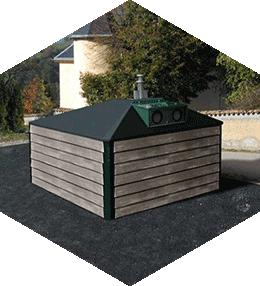 The underground, above-ground and semi-underground containers have been designed to deal with all installation and potential upgradeability situations.